Patti Davenport, former American Crew International All-Star and Shave Director says men today don’t fear the beard. Guys have been embracing facial hair for the past few years. There is a definite trend to have a beard; maybe it’s a throwback to what we see in media and movies. But regardless the bear has morphed from overgrown to sculpted. At Men´Co we do a lot of facial hair sculpting, straight razor shaves. We use a full range of professional clippers and trimmers to keep our clients looking their best and suggest personal care products for use at home. A few of our lines are; Triumph&Disaster, Black Lamb and American Crew for skin and beard care. Here’s some sage advice as it comes to taking care of that mug of yours. Written by Patti, our General Manager at Men+Co. Continue a regular shave routine, shaving around the beard design and keeping the cheeks and chin line clean. Keep facial hair moisturised and conditioned. Most guys don’t want a huge regimen so choose a shave medium (cream, gel, foam or oil) and a good quality after-shave moisturiser. For soap-and-water men, the T&D Shearers Soap is fantastic option and works with a variety of beard textures and skin types. For men with sensitive skin, Davenport recommends American Crew Ultra Glide Shave Oil. It can even be used on the scalp because it’s composed of essential oils, avocado oil and it absorbs quickly. 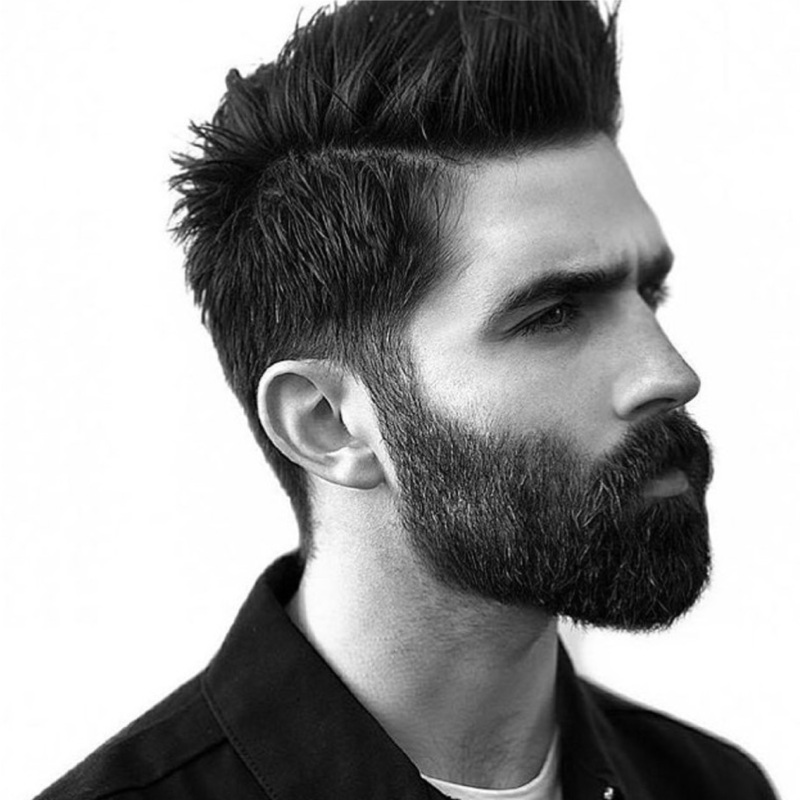 For a more detailed beard design and style, Davenport recommends applying a Black Lamb Shave Gel, as you can see-through the product. And for all; post-shave, splash cold water then apply All-In-One Face Balm on the face, head and ears for broad spectrum protection from the sun. 0 Comments on "Don’t fear the beard"